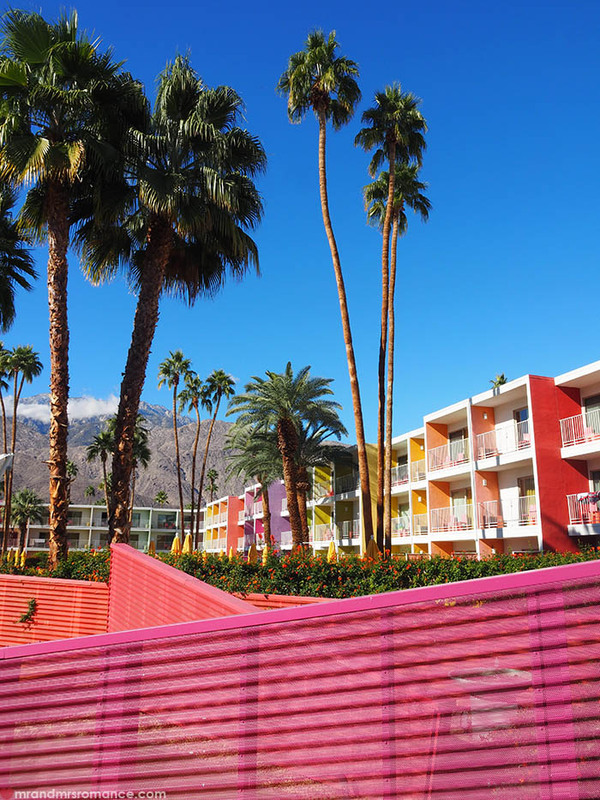 Palm Springs, California is a living museum of mid-century modern. 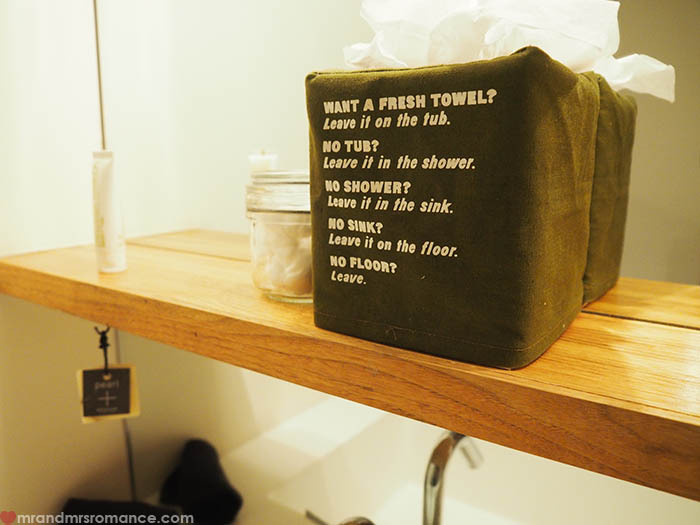 It’d be a shame to stay somewhere ordinary in a town so styled. 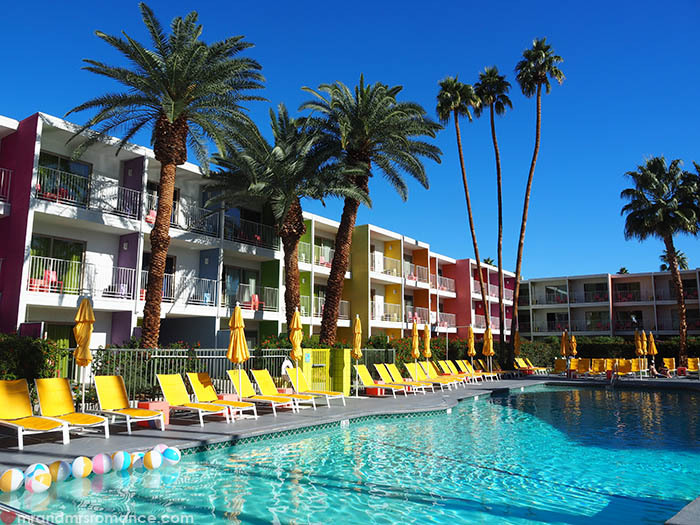 So here are our top 3 extraordinary places to stay in Palm Springs – home of the Rat Pack. It’s quite a feeling to be lounging by a beautiful pool looking up at the palm trees and wondering at the same sky that the likes of Frank Sinatra, Marilyn Monroe, Humphrey Bogart and Elizabeth Taylor all looked up at. But the sky’s not the only thing that hasn’t really changed in this desert town. 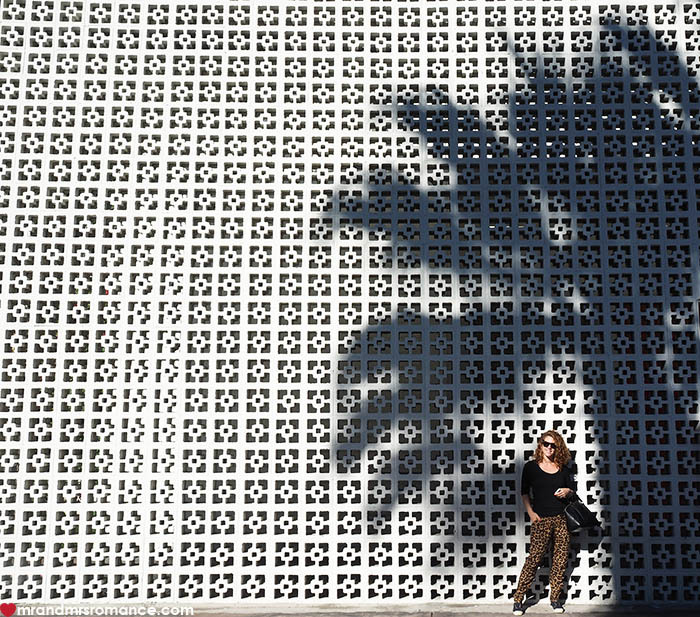 As you explore the streets of Palm Springs, you’re struck by how different it feels to the rest of America. You’re only 2 hours to Hollywood (of course) and 4 hours from Vegas, but it feels like you’re a lot further away than that – both space- and time-wise. 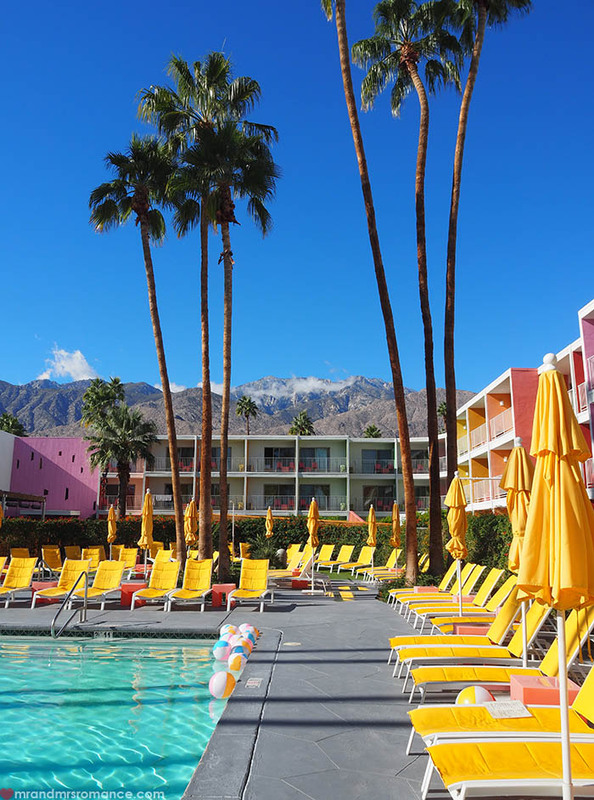 So for you to make the most of this unique destination, we’ve put together our three favourite Palm Springs hotels that will give you the experience Hollywood’s Playground was made for. Check out our road trip itinerary on getting from San Diego to Palm Springs then Palm Springs to Las Vegas – the long way! 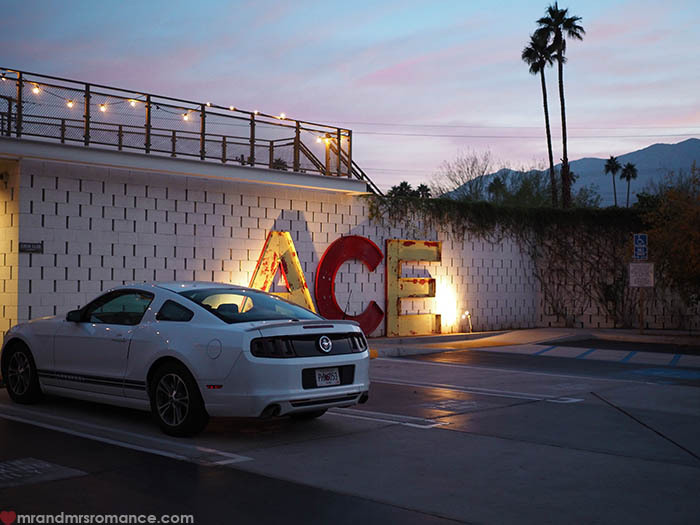 Taking hipster-retro to a new level, the Ace is an extraordinary hotel. Everything here is styled to an inch of its life and you can see the designers have had a lot of fun doing so. 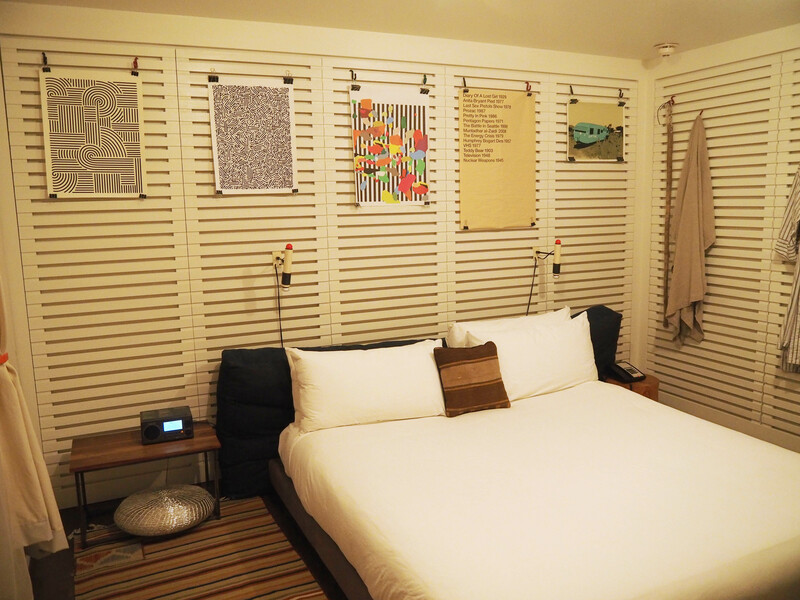 Rooms here – there are several different types from Standard King to the vast Ace Suite – are more like funky avant garde art installations. 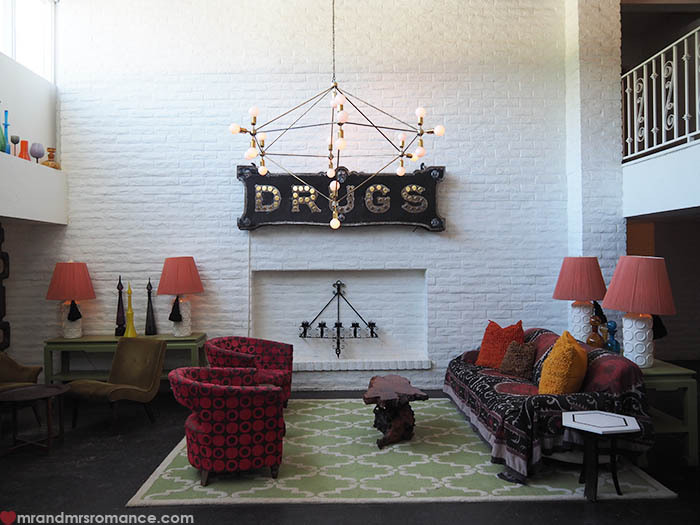 Full of retro furniture, canvas coverings and rumpled hide rugs, staying at the Ace is definitely an experience. But from the beautiful pool areas and the crafted lobby to the attached diner, bar and the cloth and crystal spa, you can see the humble beginnings of this uber-creative space. Once a derelict Westward Ho motel and an old Denny’s, designers and decorators from the Ace brand brought this place right into line with other hotels in the chain while still keeping that mid-century modern feel very much at its heart. You’ll either love the Ace for how cool it is or you’ll hate it because you wish you were that cool. I’ve kind of got feet on both camps! Only the Saguaro (pronounced suh-wer-oh and is the name of those classic cacti you see in westerns) could get away with the way they’ve decorated this old ‘50s motel. The brilliant colours of the rooms and different areas of the hotel could have made it look like a garish kindergarten, but somehow it really works here. 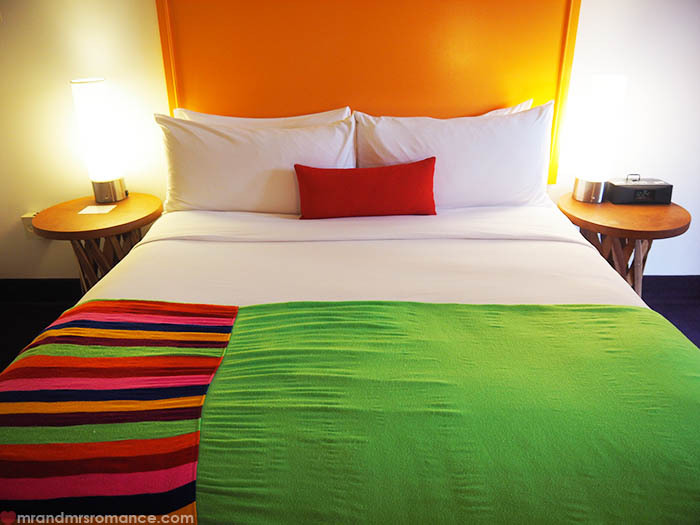 The result is the most cheerful yet beautifully stylish place you’ll ever stay in. All the rooms here come with a balcony or courtyard, and each one looks in on the shimmering blue pool with its equally colourful gang of beach balls bobbing around on the surface. Inside, the rooms are just as bright, but broken up with plain walls too so you don’t wake up with a migraine! The playful mix of vibrant mid-century style furniture and traditional Mexican woodwork fill the rooms, as does the fun hipster collection of artifacts like old cameras and coffee table books. 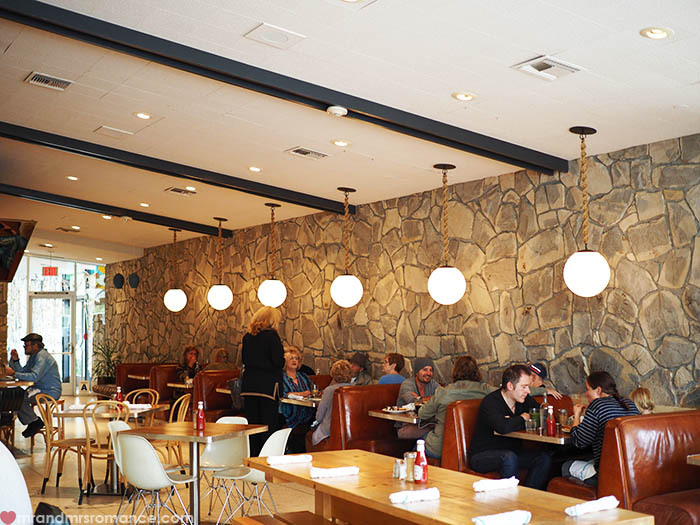 The focus of the Saguaro is fun and a return childhood… with a well-stocked bar and good Mexican food thrown in. 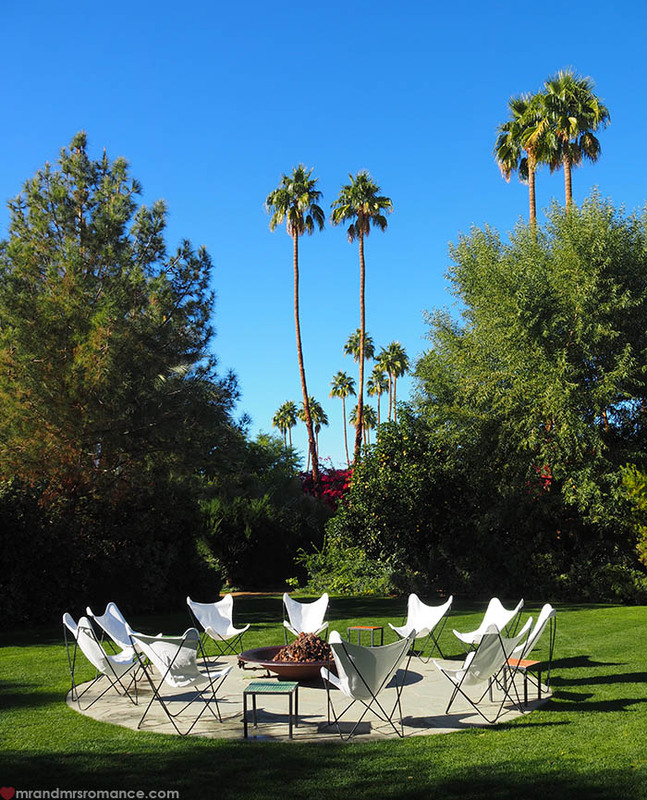 At the pinnacle of Palm Springs styling is the Parker. 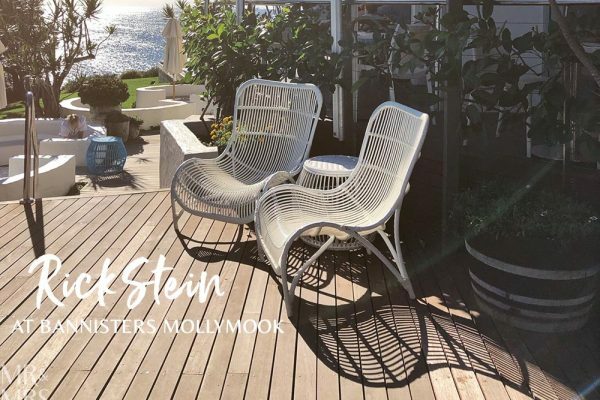 This beautiful estate set within high walls and luscious green lawns is the place all other mid-century modern styled hotels look to for inspiration. The attention to detail in this place is extraordinary. From the decorative lobby to the beautiful white wall in the driveway that’s been an Instagram darling since forever. When you think of a grand yet private California hotel, this is what should be coming to mind. The grounds are so well tended and landscaped that it feels like you’re walking around in a kind of maze. 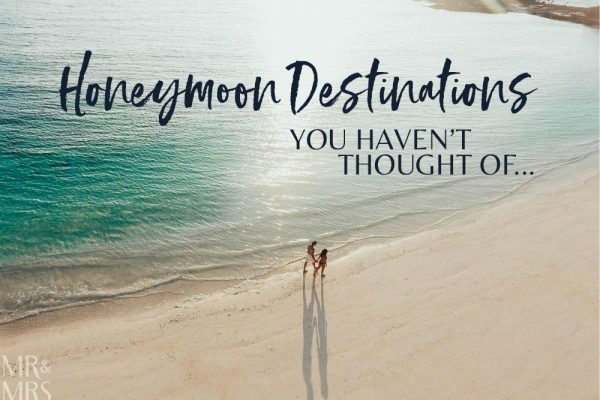 Each section of the gardens is incredibly private; there are picnic spots, fire pits, pools and clay tennis courts, all surrounded by vertiginous palm trees and bushes. 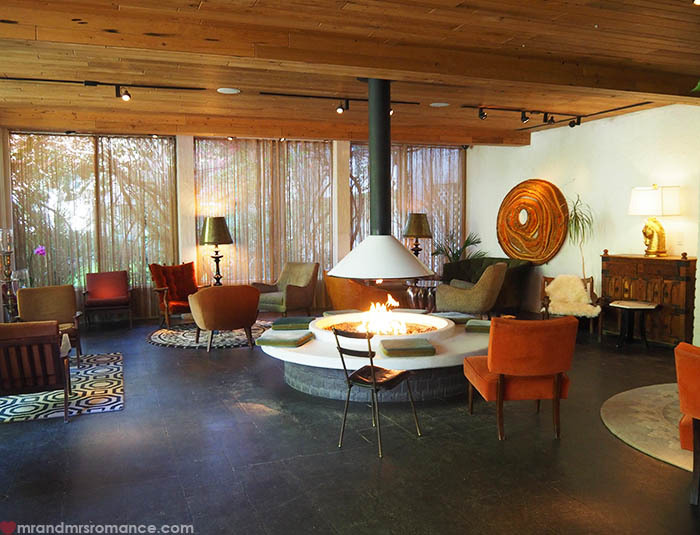 Far too grown-up to be thought of as hipster, this mid-century love affair is truly a beautiful hotel. 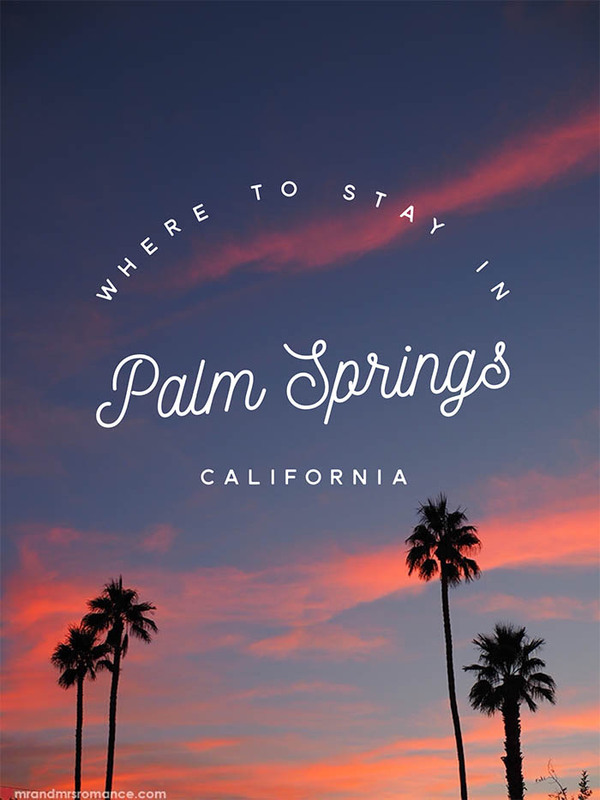 Of course there are other options for staying in Palm Springs. For instance you can stay at Frank Sinatra’s house for US$2,600 per night… which is actually not that expensive when you think about it. You do get the run of 4 bedrooms, 7 bathrooms, a piano-shaped pool and 4,500 SqFt of space after all. 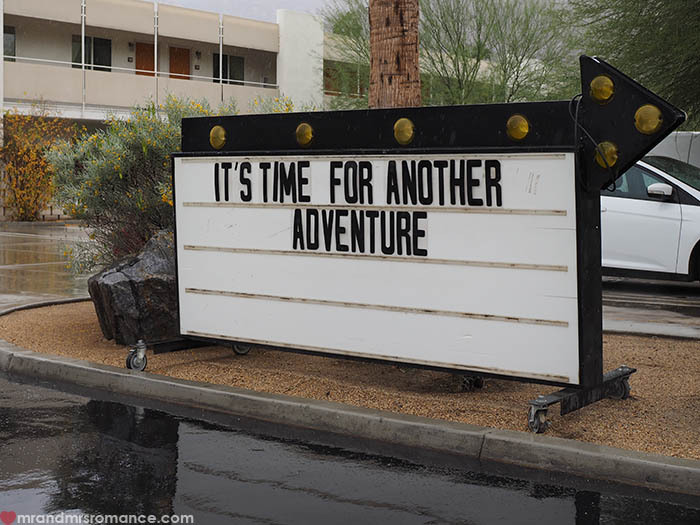 If you enjoyed this post then you’ll love our road trip itinerary on getting from San Diego to Palm Springs then Palm Springs to Las Vegas – the long way! 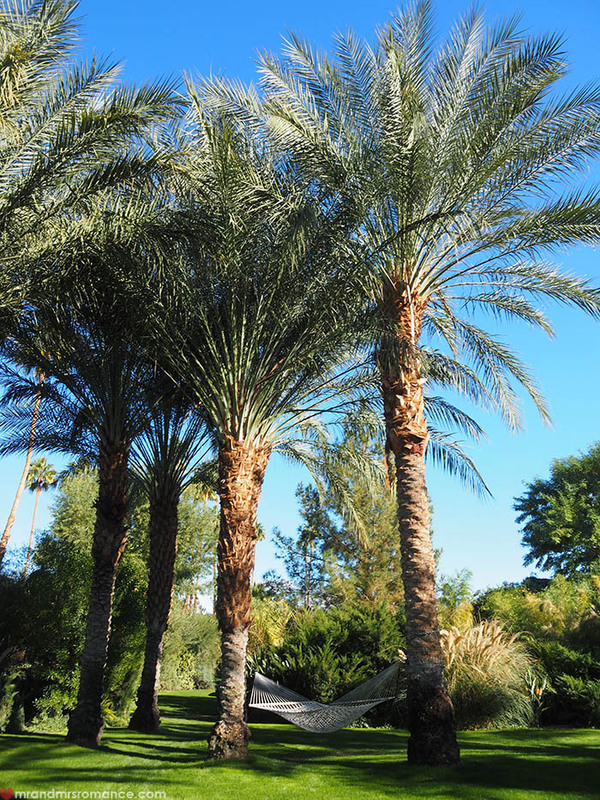 Have you ever been to Palm Springs? 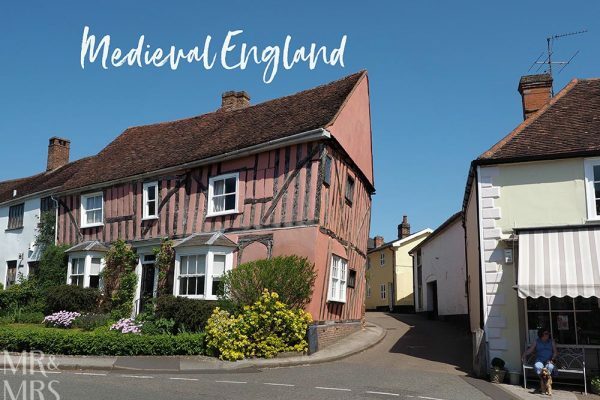 Which of these three places would you prefer to stay in? Tell us in the comments! Ha ha! There was some kind of accountancy conference on at the Ace when we were there actually, Amanda. We didn’t realise until we’d scored a free beer from the little bar in the caravan and were walking around the general schmooze! We finished our beer and made ourselves scarce. 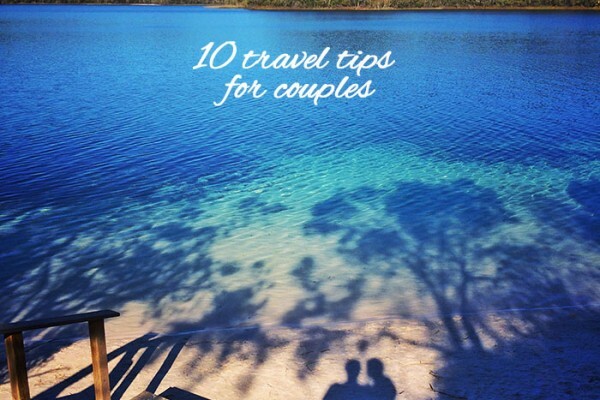 We’d love to stay in the Parker too. It looks beautiful, doesn’t it? Very cool that you saw Thom Yorke. Did he look like he was having a nice time? Lol. When we were in Carmel on the California coast we ‘had dinner’ with Clint Eastwood. That was pretty cool.